In this extensive guide, we’ll be going over some of the best DNA box mods available this year. We’ve seen quite a few of these vape mods being released, and it’s that time of the year where all of the major releases have already hit the market. In addition, Evolv has released their newest boards which are the DNA75C and the DNA60. These boards or chipsets are known for their great customization, power delivery and functionality. Before diving straight into some of the best, we’ll first give you some basic information about the boards offered by Evolv, and why it’s sought after. We’d also like to thank our sponsors for this article: GearBest and CVapor. Firstly, the DNA boards are made by the company Evolv. The DNA boards have been out for quite some time, but lately they’ve taken vaping to a whole new level of customization and performance. 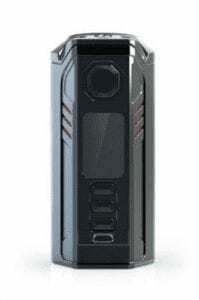 The Evolv DNA boards or chipsets are known to be some of the advanced on the market today, and is one of the primary reasons as to why a vaper would want a vape mod to house one. With it being advanced and high performing as it is, you will pay a bit more in comparison to other devices that utilize other chipsets. However, many do not come near to its performance and is why some people don’t mind the higher cost. If you’re the vaper who wants some serious power and functionality in your device, then the price won’t be much of an issue to you. The latest DNA boards can be fully customized using the EScribe software, which can be downloaded and installed onto your PC. Simply connect your device and launch the EScribe software, and it’ll open up endless possibilities of customizing your box mod. You can create custom temperature control profiles, adjust the preheat function, customize with different logos, run diagnostics, and even monitor the device in real time! Honestly, there’s nothing quite like it on the market, and is yet again another key reason as to why you’d want a DNA powered box mod. If you want some of the best performance in vaping, the DNA board is definitely something to consider. Like mentioned earlier, there has been many DNA boards released and go back quite a few years ago. The original DNA40 is when it really took off and introduced accurate temperature control for Ni200 wire. Afterwards, Evolv dropped the DNA200 board, which also introduced the EScribe software which allows you to really fine tune your vape experience. Back in 2016, Evolv introduced the newer and improved DNA250 which added an additional 50w and some other key differences which came in handy for the manufacturers creating the box mods that house this board. 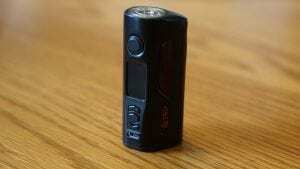 The DNA250 has a maximum wattage output of 250w, and can be utilized with 2 or 3 high drain 18650 batteries. 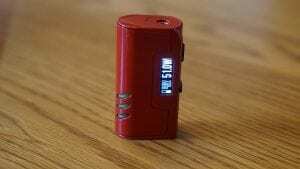 When used with 2 high drain 18650 batteries, the mod is down throttled to 166w, so that’s why you’ll see some devices labeled as “DNA166” or “DNA167”. This board can also be powered using a Li-Po battery, and one of the best features of this chipset is the balance charging, giving you no worries when utilizing this type of battery. However, when using 18650 batteries, we still recommend charging your batteries externally. The other recent Evolv board is the DNA75. However, not too long after the DNA75C was released which added a color screen and allowed you to customize your device on the fly, which was something many vapers wanted for quite some time. The DNA75C is still relatively new, but we’ve seen a few major releases already from companies like Lost Vape and HCigar. Unlike the DNA250 board, the DNA75 and DNA75C has a maximum wattage output of 75w, so it’ll cater to a different crowd. The last chipset is the DNA60, and while not the most popular, it still favored by many vapers due to its high voltage cutoff and simplicity. It doesn’t have a color display screen like the DNA75C, and it has a maximum wattage output of 60w. So yet again, this board is aimed at a totally different crowd in comparison to the others. So no matter what kind of vaper you are, there is a DNA board available that fits your vaping needs. If you like higher wattage vaping, definitely go for the DNA250, but if you prefer lower wattage vaping then the DNA75C or DNA60 might fit your needs better. Now that you have some knowledge of the basics and what’s offered in the DNA lineup, we’ll go ahead and jump right into the best DNA box mods! 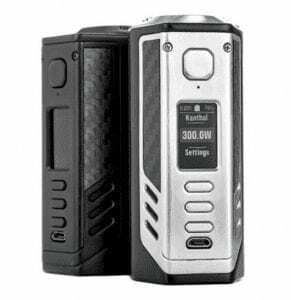 The Wismec Reuleaux DNA200 Box Mod is a staple when it comes to best DNA 200 box mods. 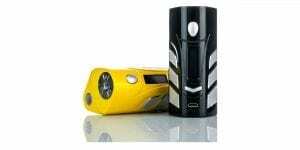 This device requires 3 high drain 18650 batteries for operation, and offers a maximum wattage output of 200w. In addition, the maximum voltage output is 9v, which is more than enough to suit the vaping style of most vapers. 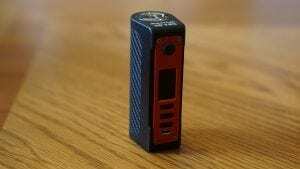 What makes this DNA200 box mod so great is its ergonomic design. This is easily one of the most comfortable triple battery vape mods on the market today, and even though it houses 3 batteries, it still remains fairly compact. The magnetized battery cover ensures your batteries will always be kept safe, and due to its unique design, it makes it incredibly easy to take your batteries in and out. If you’re on the hunt for one of the best DNA200 box mods, then the Wismec Reuleaux is definitely one you should consider. It’s form factor and features makes this device one of our top choices. The Aria X Anarchist Solara DNA 200 Mod is another great choice if you’re looking for a new DNA powered device. This one is a bit different from the previous device as it does feature an internal 1,200 mAh 3 Cell Li-Po Battery. This device can be charged using a micro USB cable. Now, an internal battery mod is not for everyone, but for the vaper who doesn’t want to worry about external batteries and rather charge and go, this is the perfect DNA box mod. It’s ergonomic and compact design makes it incredibly pocket friendly, and its laser etched engravings will surely turn heads at any vape shop you go to! If you’re a vaper who enjoys internal battery mods and looking for a new DNA200 Box Mod you can just grab and go with the ability to charge virtually anywhere, then the Aria X Anarchist Solara DNA 200 Mod is the device for you. The Triade DNA250C is one of Lost Vape’s newest releases. 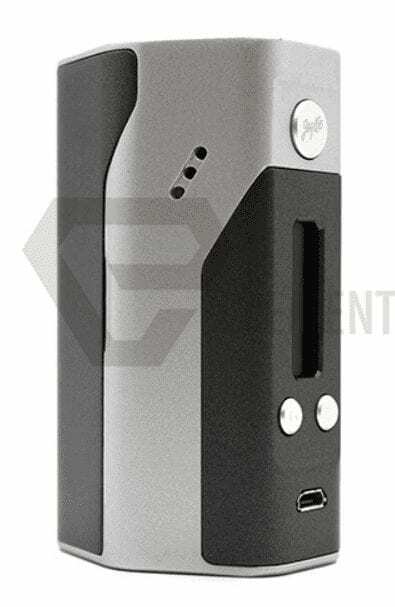 It features the newest board from Evolv, the DNA250C and is powered by 3 high drain 18650 batteries. This device offers a massive 300w maximum wattage output, so it’ll power pretty much any coil build you attach! In addition, this new board features the new Replay Mode, which allows for easy TC vaping. This new device features the same ultra premium design from the original Triade, so you know you’re getting a quality product. This also means it shares the same ergonomic design, making it comfortable to hold and use, which is perfect for extended vaping sessions! In addition, with its spring loaded nickel plated brass 510 connection, all of your atomizers will sit nice and flush. If you’re after a new DNA250C box mod or simply looking for a monster device that can power anything you throw at it, the Lost Vape Triade DNA250C is a box mod to seriously consider. The Think Vape Finder 250C is similar in design to the original, but sports the newest Evolv DNA250C board. Like the Triade, this device offers a maximum wattage output of 300w, and has a 98% output efficiency. This device also features a similar design as well, but is slightly more affordable. In addition, the Finder250C is available is multiple color options such as Red, Black, Yellow and Silver. Each color does offer a unique appearance, so if you’re a vaper who enjoys matching atomizers and mods, then you’ll love these color options. 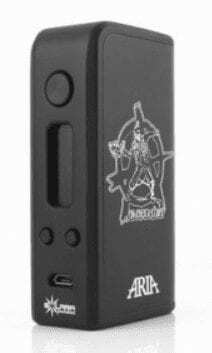 This is another solid option if you’re looking for a DNA250C powered box mod. It offers all of the excellent features this board has to offer, but at a slightly cheaper price. So if you’re on a budget, then this one might be for you! The Lost Vape Paranormal is one of the latest releases from Lost Vape, who’s well known for their quality box mods. The Paranormal is definitely of the most premium box mods on this list, and with just one look you can just see it’s immense quality. It sports a relatively similar design to the Therion, but adds a bit more size in order to compensate its slide and lock battery access door, which makes battery changing quick and easy. In addition, it does feature interchangeable panels and includes 2 full sets, allowing you to really customize this device. For you vapers who like to match your atomizers and mods will find that this mod will suit you quite well. Not to mention, with its leather wrapped around the side, it makes the Paranormal incredibly comfortable to hold which is great for your longer vaping sessions. Since this box mod is powered by 2 high drain 18650 batteries in parallel, you can expect all day battery life, especially when using 3,000 mAh batteries. If you’re looking for a premium vape mod that houses the DNA75C board, then the Paranormal by Lost Vape is definitely one to consider. If you’re interested in learning more about this mod, you can check out our full review right here. The Think Vape Finder is not the newest device to hit the market, but it’s definitely one of the better DNA250s available. Since it does house 3 high drain 18650 batteries, it can deliver the maximum power of the Evolv DNA250 chipset, which is 250w. If you’re vaping at higher wattages, be sure to understand ohms law and battery safety! Its large firing button is easy to find and press, and provides a nice clicky feedback every time. Being constructed primarily out of zinc alloy, it ensures excellent durability, so it’ll easily pass the test of time. The battery cover is held into place by a few magnets and does feature a leather backing. The leather backing does offer some comfort, and certainly gives this device a unique appearance. Not to mention, its ergonomic design means it’s very comfortable to hold and use, and even though it houses 3 batteries, it still can be easily carried with you when you’re out and about. Also, with 3 batteries, you’ll definitely be getting all day battery life and even multiple days of battery life! For the vaper looking for the most power and battery life, the Think Vape Finder will suit you best. Be sure to check out our full review if you’re wanting to know more about what this device has to offer. The HCigar VT250S is one of the most unique DNA mods on the market today, and the main reason why is that you can use this device with either 2 or 3 high drain 18650 batteries! Now, if you are using 2 batteries, you’re getting a maximum wattage output of 166w and with 3 batteries, you’ll get the full 250w. It does come with an additional back cover, which is what allows you to use either setup. If you’re wanting more battery life and power, simply use the battery door that will accommodate an additional battery. If you want something more lightweight and easier to carry around or simply don’t need the extra power, use the 2 battery door. No matter what mode you’re using it in (3 battery or 2 batter mode), it’s comfortable to use due to its design. In addition, each color available (yellow and black), it sports a glossy finish with silver accents, which will certainly turn heads in any vape shop! Since being constructed primarily of zinc alloy just like the previous device, you’ll have no worries with its durability. If you’re looking for a DNA250 device, but want flexibility and love the idea of being able to swap from a dual battery setup to a triple battery setup at anytime with a single mod, then the HCigar VT250S is for you. The VapeCige Creator is the one of the latest releases when it comes to DNA box mods. 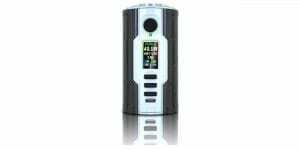 It is powered by the Evolv DNA75C, and can house up to 2 high drain 18650 batteries. If you wanted, you can utilize this device or any other dual battery DNA75C with a single battery since that is all that is required by this board, which is great! However, when using 2 batteries, you’ll see much better battery life. Installing your batteries is also quite different with this mod in comparison to others, as the battery trays are along the sides. 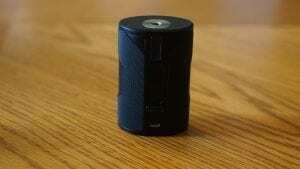 This makes it very easy to access your batteries on the go. What’s great about the Creator is the centered 510 connection. This means that your larger atomizers will sit flush with no overhang! Its rounded design means it’s incredibly comfortable to hold and use while vaping. In addition, it’s offered in multiple unique finishes including full black, black and red, black and white, full red and full white. The VapeCige Creator is one of the more affordable mods in this list, which is great if you’re on a budget. So if you’re wanting a dual battery DNA75C mod and don’t want to break the bank, then this is the mod for you. The Lost Vape Therion is one of the most popular box mods on the market today, so it’s no surprise that it ends up in this list. 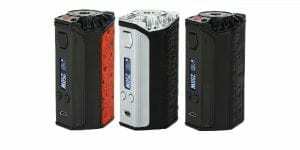 This version of the Therion is powered by the Evolv DNA250 board, and utilizes 2 high drain 18650 batteries for operation; therefore having a maximum wattage output of 167w. Just like the Paranormal, the quality of this device is outstanding, and is certainly what we would call a “premium” mod. The Lost Vape Therion DNA166 does feature an ergonomic design, and a sliding battery cover that’s held into place securely. What’s great about the Therion is that there are tons of different color options available such as Black, Brown, Crystal Cream, Dark Salmon and Laterite. Each color variant sports a unique battery door, so no two colors will look the same. Lastly, it is primarily constructed of zinc alloy, ensuring excellent durability! All in all, the Lost Vape Therion has proved itself over time to be one of the best on the market today. If you’re looking for a premium quality dual battery DNA250 device, then look no further! The HCigar VT75D is the newest device coming from HCigar who is also well known for their quality mods. The “VT” series is probably one of the more popular devices on the market and one of the more affordable as well. This new box mod is powered by the DNA75C chipset, and can house up to 2 high drain 18650 batteries. It features a unique yet ergonomic design, giving it a comfortable hand feel. What’s great about this device is the sliding and lock battery access door, which allows you to easily install your batteries. In addition, with this style battery door, it keeps your batteries secure in place. The two colors available for purchase are Black (with red accents) and silver. Each color variant does sport two wood panels in the front, which surely adds to its overall design and looks. Even though this mod does accommodate 2 batteries, it still has a rather compact design, making it great for taking it out with you during the day. Overall, the HCigar VT75D is an excellent addition to HCigar’s line of mods. If you’re in the market for an affordable and compact dual 18650 DNA75C, then definitely check out the HCigar VT75D, you won’t be disappointed. This is yet another newer device that hit the market recently, and one of the only mass produced DNA60 mods currently available for purchase. The SD Nano sports an incredibly compact design, making it great for stealth vaping! What’s great about this mod is that even though it is smaller, it still can accommodate atomizers up to 24mm in diameter. This is a huge pro as many new top RDAs and RTAs on the market are either 24mm or 25mm. As with other DNA mods, you can connect this device to your PC and utilize the EScribe software to fully customize this device to your liking. This box mod does require a single high drain 18650 battery for operation, and sports a sliding batter door, making it very easy to access your battery on the fly. The colors available for purchase are black and red and either is constructed of zinc alloy. Lastly, both color variants do sport somewhat of a glossy finish. As mentioned earlier, there aren’t many DNA60 mods on the market. Thankfully, the VapeCige SD Nano is not only affordable, but is actually built very well. If you’re looking for a single 18650 DNA60 mod, then definitely consider this mod. The Lost Vape Coral DNA60 is one of those devices that went under the radar. In addition, this device is much different especially when you compare it to all other Lost Vape mods. What makes this DNA60 mod unique is that it houses a single high drain 18500 battery. Since using this type of battery, you won’t be vaping at high wattages since 18500 batteries typically have a CDR of 10A and under. Mixing this fact with how ultra compact the Coral is, it makes for an excellent stealth vape when paired with a great MTL tank or low wattage sub ohm tank. Just like other Lost Vape mods, the Coral is primarily constructed of zinc alloy, ensuring great durability. This mod does come in 2 different colors which are Black and Silver. Both color variants are crafted of the same zinc alloy. If you’re a vaper looking for an ultra compact mod to stealth vape with, the Lost Vape Coral DNA60 won’t disappoint. S Body is another company who’s well known for making quality devices, and the Vape Droid C3D1 is the newest addition to their line. 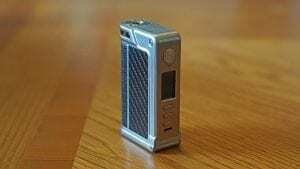 This device is powered by the DNA250 board, and since utilizing three 18650 batteries, it provides a maximum wattage output of 250w. Accessing your batteries is easy thanks to its magnetic battery cover, which also keeps your batteries secure. A definite pro to this device is that it can accommodate atomizers up to 30mm in diameter, which is something that can’t be said for too many devices. The S-Body Vape Droid C3D1 does feature a unique rounded design, which makes it quite comfortable to hold and use when thumb firing. There are 4 different color options available which are Black, Red, Blue and Brown. Regardless of what color is chosen, the primary color of the device stays the same, which is black. What does change is the color of the leather stickers which can be seen on the front and back of the C3D1. If you’re a fan of the S Body Vape Droid Series or simply looking for a premium quality triple 18650 DNA250 box mod, then the C3D1 is definitely up your alley. It’s solid construction mixed with its unique design is great for the vaper wanting the most power and battery life. The VapeCige SD75C is one of the smallest, if not the smallest DNA75C mod that houses a 26650 battery. Many mods that utilize this type of battery are larger in size, but VapeCige managed to keep the size down on this new box mod. If you’re not into using 26650 batteries, it does come with an adapter, which allows you to use an 18650 battery. Its aluminum construction means it’s very lightweight, so it’s great to take it out with you. The VapeCige SD75C does feature a threaded battery cover, so you know for sure your battery is secure even if you were to drop this device. Another great feature of this device is the fact that it can accommodate atomizers up to 30mm in diameter, which is quite impressive considering its overall size. Lastly, the VapeCige SD75C is surely to turn heads with its carbon fiber sticker and red accents. All in all, the VapeCige SD75C is perfect for the vaper wanting extended battery life, but doesn’t want to sacrifice in size. With a single 26650 battery, you can expect almost all day battery life, and still keep the compact form factor that a single battery mod has to offer. In conclusion, these are some of the best DNA mods on the market today based upon availability, design, quality and pricing. Even though there are quite a lot of options on the market today, these box mods are what has impressed us this year. Each one of these devices simply offer something more or different in comparison to the competition. As mentioned previously, there are a ton of different reasons as to why a vaper would want a DNA device. No matter what you prioritize in your vape mod, whether it be raw power, battery life, functionality, temperature control performance, customization, the DNA board has got you covered. If you’ve been wondering which mod to get, we do hope this article has helped you nailed down which device fits your needs the best. 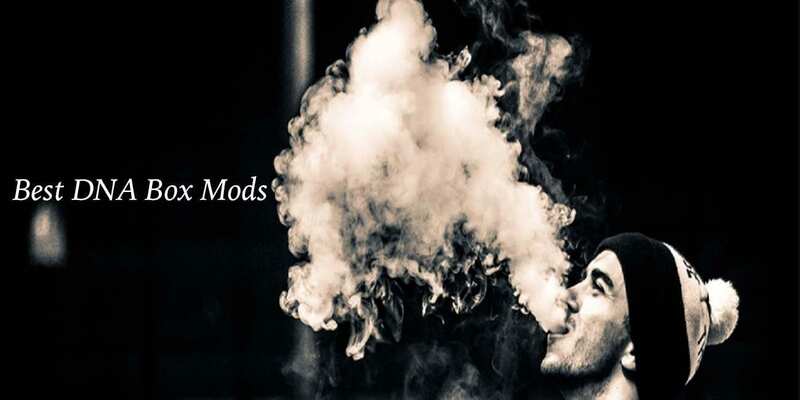 If there’s a mod not listed here that you favor, feel free to let us know in the comments section what’s your favorite DNA mod! We always love hearing from our subscribers! Thanks for reading! Thanks for the post. Your post is helpful for me. I quit smoking with the help of e cigarette. And the best thing about it is I can smoke different flavors and it is not harmful. What about lost vape drone squonk mod? Why is not in the list?